15 April 2019, Wellington (New Zealand Red Cross) It has been confirmed that a New Zealander working with the International Committee of the Red Cross (ICRC) was abducted on 13 October 2013 in Syria and remains missing. • New Zealand Red Cross will be holding a press conference at 11am at 69 Molesworth Street, Thorndon, Wellington. Bring credentials. • A video statement from the family will be shared at the New Zealand Red Cross press conference. 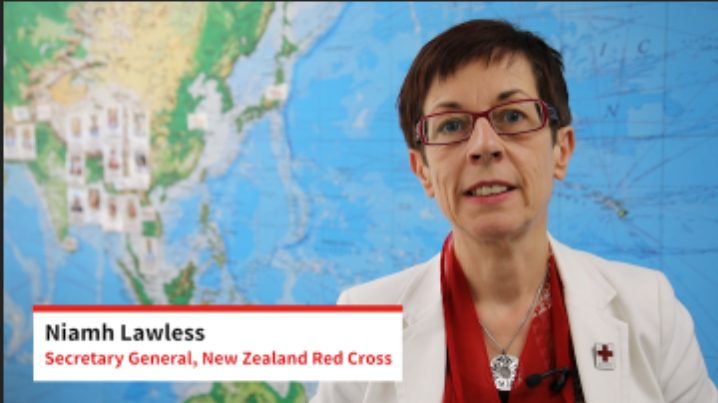 • Skype press conference at 5pm with Dominik Stillhart, ICRC Director of Operations at New Zealand Red Cross, 69 Molesworth Street, Thordon, Wellington. Louisa Ngatokoiva Akavi, 62, is a highly trained midwife and nurse with more than 30 years’ experience working within the Red Cross Red Crescent Movement. Her deployment to Syria in 2013 was her 17th field mission. Louisa’s first overseas assignment was in 1987 when she headed to Malaysia to help Vietnamese refugees. She worked as a midwife and head nurse and ran a 40-bed hospital. This experience marked the beginning of a life dedicated to assisting those affected by war and violence. Louisa has been a fulltime health delegate for New Zealand Red Cross since the mid-1990s. During this time, her courage, determination and passion for making a difference has taken her to 14 countries including Somalia, Bosnia Herzegovina, Chechnya, Sri Lanka, Ethiopia, Iraq, Afghanistan and the Solomon Islands. For more than 30 years Louisa has put others’ needs ahead of her own, providing medical care whilst contending with disaster, curfews, prison systems, inadequate medical equipment, weapons, violence, threats and loss of life, including in some cases the lives of her colleagues. Having survived an attack on a hospital in Somalia and a murder in Chechnya in which six Red Cross staff including a New Zealand nurse were killed, Louisa was well aware of the risks she was taking in the interests of helping people in need. Her work overseas has extended beyond nursing and midwifery. Louisa secured funding to help ensure a blood bank programme in Bosnia was rehabilitated and sustained over the long term. In Sri Lanka she supervised a well-building programme for safe water. In the Solomon Islands Louisa developed a programme in conflict preparedness, became the acting head of the ICRC delegation, and worked with political leaders and police to promote the work and principles of the Red Cross. Louisa’s extraordinary commitment to international humanitarian work and nursing was recognised in 1999 with the prestigious Florence Nightingale Medal.